The United Nations is about to conclude the road towards the so called Millenium Development Goals (MDGs): Eight areas of development, from maternal heath to global collaboration, that have been used as benchmarks in global development. It has been decided that setting goals work. The next set, to be titled Sustainable Development Goals (SDGs), will be decided upon in September 2015. The discussions have included many communications and media-related issues, ranging from access and freedom of expression to the role of the media and technologies in fostering sustainability in other areas of development. The world has dramatically changed since the UN set the MDGs in 2000. Since the development of the ICTs, the easier access to Internet, the worldwide spread phenomena of “prosumerism”, the world has certainly achieved a more united path for communication and information. People in Peru can easily know what is happening in distant countries like South Africa or Finland and feel that is part of their own environment. Communication is becoming increasingly important in our lives. Not only is the technology behind communication becoming more and more developed, people are becoming aware of the possibilities open and free communication can provide for a society. Only look at the uprising during the Arab Spring in the Middle-East and northern African countries, where social media led the way to the expression of revolutionary ideas and the cry for more freedom. This right to communicate should to a certain extent be safeguarded by internationally recognised goals and laws. There is an awareness of the power of communication and media by the international agenda. This influence has made important changes around the world and it is a fact that a denial of its increasing significance would mean a denial of an opportunity to set a road in which individuals, companies and governments can create better societies and more transparency, as well as a voice for more informed opinions. Understanding the connection between communication and sustainability needs understanding the concepts. The definition of sustainability is four-fold. First, it is most often understood as environmental sustainability. Second, also social sustainability is fairly often added to the sustainability. Third, economic sustainability is part of the definition of sustainability and sustainable development. These first three – ecological, social and economical – are typically understood as the goals of sustainable development (UN 2005). The latest addition to this four is cultural sustainability. When talking about development, the sustainability is the most important guiding principle. All these four aspects of sustainability should be highlighted in order to claim the development being really sustainable. According to UN (2014), the integrated essential elements to help reinforcing the sustainable development agenda include dignity, people, prosperity, planet, justice, and partnership. How, then, would ICT, media and communications be connected to this? Media and information technologies are tools in achieving sustainable development goals (see for example Lublinski et al. 2013). More and more sustainability projects are coordinated online,. Cultural sustainability and multicultural knowledge can be improved through media. Then, media business creates economic income, and it can be considered as a part of economic sustainability. This position paper discusses the role of the media and communication technologies in global development. It highlights some key challenges that pertain to media and technology and argues that those challenges call for protection of related rights. In addition, the paper suggests several solutions to these challenges. This paper also lists core advantages of the media and communication technologies to sustainability. The paper strongly advocates for the inclusion of the media and communication technologies in the framework of SDGs. Current challenges regarding the media and communication technologies call for global goal in terms of sustainability of open, free, accessible communication. Traditional media has been replaced by new means of communication, such as social webpages, blogs, online newspapers, etc. Their influence has strengthen up to a point in which democratic governments, dictatorships, large transnational companies and so on need to take the new media in consideration. They need to be aware of its power, and be strategic enough as if they would use it as an instrument of control or as a threat they need to fight against. First, the media are not fulfilling their role in raising awareness of global challenges and sustainability. “Events caused by basic human rights violations (such as in this case of massive poverty) are often presented as ‘natural disasters’.” (2011) Even now people are aware of problems with violation of human rights, but are still not willing enough to participate in solution to this problem. Media as Hamelink says is not in “happy marriage” with reporting on human rights. Mainstream media mostly search for sensationalism and are focused on wrong news selection criteria. The media has also been used as a tool to incite racial hatred by dictators and warlords, which again highlights the importance of pluralistic and free media (UNESCO brief 2014, 3). In addition, there are numerous examples of unjust sentencing, where social media, enabling a citizen to express his views freely and in a new way previously impossible, has led to a stranglehold being placed on freedom of expression instead. Referring to what Jan Lublinski , Peter Deselaers and Petra Berner have said in “Freedom of Expression and the Media” (2013), freedom of expression and access to information are basic human rights and constitute the first rung of the ladder of mass media communication. Since public communication in democratic societies is overlooked by media-produced messages, it’s evident that media and communication technologies have a fundamental role in the process of development. In this day and age, all over the world, people can gain access to new tools, “new channels of communication”, and take their own stand. This means a very powerful instrument that can guide people towards new ways of knowledge and comprehension. Unfortunately, in many places these potentialities are obstructed: according to Freedom House’s “Freedom of the Press” index, less than 14 percent of the world’s citizens live in countries that enjoy a free press. In some states freedom of expression and access to information are strictly violated; besides, the opportunity to use mass media are not equally available to different population groups: often substantial differences exist between citizens in the capitals and those in rural area. For example, the “troll factory” in Russia is a prove of how media can be used to manipulate people’s opinion in the international arena; or the massacre of university students in Mexico in 2014 and how the media avoid the news until it was internationally spread and the government, given the outside pressure, had to make a public statement about it. Another example is China. As a member of UN and a permanent member of UNSC, China continues to vigorously violate citizens’ rights of information access and freedom of expression derived from these sustainable development agenda using media and communication technologies. China’s cyberwar on free speech defies the UN’s sustainable development principles to fight inequality (dignity); to ensure knowledge and inclusion of women (people); to grow an inclusive economy (prosperity); to protect our ecosystems (planet); to promote safe and peaceful societies (justice); to catalyse global solidarity (partnership). China has been carrying out extensive censorship and detaining activists and campaigners who express peaceful views online concerning women’s rights, anti-corruption, environmental sustainability, global solidarity on democracy and against ethnic discrimination (Rife, 2015). Rife (2015) pointed out that the current crackdown against freedom of expression in China is the worst assault in academia, media, civil society, and online in more than a decade. Media and communication technologies should be explicitly included in the post-2015 UN sustainable development goals, because China is not only using these technologies to violate the sustainable development principles, but also to legitimize its actions, to legitimize the disrespect for human rights and sustainable development, to claim the internet sovereignty, and to promote it as an acceptable global model. Such behaviour should not be tolerated nor encouraged, and international and collective efforts are much needed to defend human rights and accelerate sustainable development by regulating countries’ use of media and communication technologies on their citizens. The UNESCO discussion brief concerning free, pluralistic and independent media tackles an important question of fight against corruption. As corruption increases income inequality and poverty, the media has an important role in raising awareness and putting the pressure on national authorities. According to various estimates the cost of corruption is one trillion dollars globally. Private sector corruption alone in developing countries is at least 500 billion dollars, which is more than three times all foreign assistance given in 2012 (Runde, 2014). These numbers are staggering and people have the right to be informed. As Sue Curry Jansen (2011) points out: “without a free, open, diverse, and robust media, democratic social change is virtually impossible.” Without a doubt, communication technologies play a key role in this. When it comes to sustainable development, the true power to change things for the better lies within the masses. This is why addressing topics such as net neutrality, freedom of expression and anti-censorship are vitally important to take into account in the UN development goals. Recent history has shown that we are moving into a situation where information is increasingly controlled or withheld by various means. Arguably then, the best we can do is to try and do the best we can to ensure that information is available for everyone regardless of social status and that freedom of speech is not violated by surveillance and control. UNESCO’s report (2014) addresses this by making the claim that corruption is best reduced by empowering a strong civil society. True change in environmental, political and human rights issues will not be possible by maintaining a status quo where the power of information is wielded only by the selected few—it must be given back to the people in order to make true democratic progress. It is essential to remember that freedom of expression and media play a key role in the global development achievement, and that it’s, indeed, a global role: not just a national challenge, but a complex global process. « If we want to shape this interdependent process as a global community, people will need to understand how they are connected and how the sustainability of our planet depends on their behavior. Therefore we need men and women who follow the consumption and production patterns along the commodity chains from the producers to the consumers: Reporters telling the stories of how we are all affected by our choices in the markets and what consequences our daily actions may eventually have. The best way to understand the importance of media and communication technologies to modern democracy is to take a look at societies that has improved their democracy by free and independent media. It is obvious the importance of Communication and Media Technologies in the fulfillment of the Human Rights. Our ‘cyberspace landscape’ has obliged us to rethink the role of the media, not as a broadcaster but as a democratic tool. This is the case of the ‘community media’: in Latin America is common that certain communities (sometimes minorities) found a media to improve their cultural standards; e.g., in Costa Rica, the aborigine population has radio stations that transmit content in their own language. But, all the mediatic experience has a material base. Also, Isaac A. Blankson (2007) has studied the role of Africa’s media and how it has been critical to the development of democracy and the civil society on the continent. The continents media used to mirror the states political situations, which have not always been anywhere near the democracy. The media used to be centralized and controlled by the state. Of course, governments didn’t want to let go of their power over the media technologies; many different private broadcasting stations faced problems by the government. According to Blankson (2007, 20) “Africa’s emerging independent media have begun to assume center stage in the democratic process and develop into alternative power centres to their respective governments. They exercise this power by encouraging and empowering the public to shed the culture of silence that characterized them for decades”. But: ”Africa’s transition into democratization and the global free market economy in the 1990s emerged alongside the transformation of national broadcasting systems connected to authoritarian regimes, the promotion of independent and plural media and the proliferation of new media channels.” Still, many African states struggle in balancing the need for true democratic and liberal polity when it comes to media freedom and independence (Blankson & Murphy 2007, 16). According to this and what other examples globally show us, the developing technological solutions are truly important for media development, and at the same time they form the ways we define freedom of expression and dialogue. Media must also consider the access to the ICTs. In this sense, Siles and Boczkowski (2014) state the necessity of integrating the study of production, consumption, content, and materiality in the comprehension of the media technologies, proving the advantages of a perspective they call “cosmopolitanism”. Under this perspective, the Human Rights –or a Fourth Generation of them- would consider more aspects of the contemporary communication process. From the possibility of the individuals to actually get a medium that allow the access to Internet to the core of media production politics, the Web phenomenon would have a more integral approach, safeguarded in a ‘new declaration’. This right to communicate is closely related to freedom of expression and freedom of the press. The availability of reliable news and independent media is in my opinion an essential part of a healthy and democratic society. People deserve to know what is happening in their country, because it helps them to assess their own lives and decisions. In this digital media age, the careful exploitation of new technologies are the key to establish or maintain a (more) democratic and open society. Therefore, international guidelines on (digital) communication should be set that have the ability to open up societies and make it easier for people to connect to the world and reflect on their role in it. For instance, censorship and limiting access are not things of the past and the information superhighway has not itself taken down any barriers of access but moreover complicated them. Jo Glanville refers to a case in the UK where a student was detained by the police for downloading an al-Qaeda document for research-use on his university’s computer. These are acts that have been formed after 9/11 and a new wave of Western censorship where censorship is seen as a good thing for democracy. (Glanville 2012, 32) In the networked age, the trend of legislation seems to be that the users and the citizens are more often prosecuted when in the old days it would have been the publisher or creator of the work. (Glanville 2012, 34) This relates very much to the aspect of access to information and freedom of speech and communication. It is also a case in point to illustrate that technology itself does not enable free speech or access but, moreover, complicates the freedoms and responsibilities of producers and consumers of media. Here, again, is a place for critical thought. Bringing down the perspective to a grass-root level; communication is also seen as an integral part in ordinary people’s everyday struggle against poverty. Access to information can function as empowerment and can give people a sense of being in control of their own lives. For instance, according to a UNDP report, ICTs have played a role e.g. for the social and economic development in Mozambique (UNDP, 2008). Technologies give people the chance to educate themselves about practical things of crucial influence, such as preventing STDs, fighting virus infections such as Ebola and fundamental citizen rights. However, such idealistic goals of empowerment are threatened by things previously mentioned, such as censorship and surveillance, which is why MDGs need to address these counter-forces, too. The right to use ICTs also needs to go hand in hand with the right to know HOW to them. A person who has never googled before does not necessarily know how to use search engines effectively and what information they can possibly obtain. Instead of using media to improve one’s life, a person might only use it for entertainment. Therefore nations need to be obliged to incorporate informed utilization of ICTs in their education agenda. Knowledge of processes that take place in the society and means for participating in these processes bring about changes in societies by empowering the individual (Lublinski, Deselaers, Berner, 2013). Indeed we have seen how individuals have been empowered by communication technology and brought about societal change, think of Egipt, Greece, Ukraine, to name a few and access to the latest media technologies have played a vital role each time. “The Internet, and more specifically the World Wide Web and SNS, have the potential to channel active participation, allowing citizens to directly engage in the policy-making process.” (Winter, 2013). Communication and media are the most powerful tools for advocating and enabling change and therefore must be seen as vital points of protection and development by the UN. 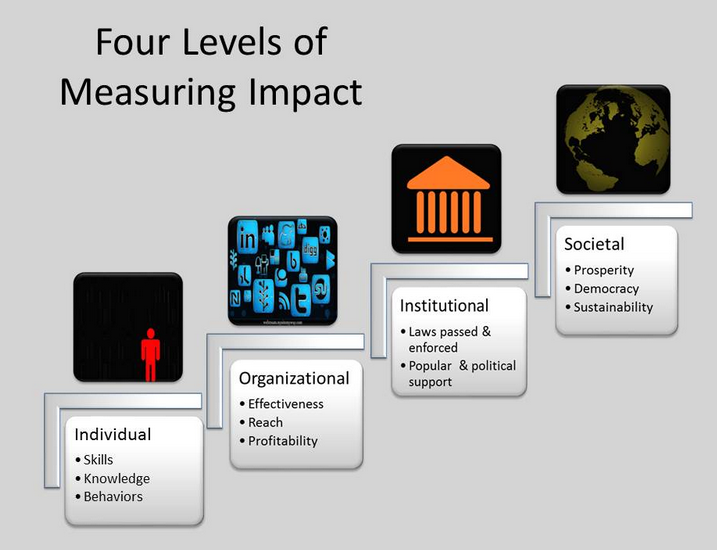 ICT4D, despite the criticism it has received, could offer solutions for different sectors of development from improving education and healthcare to enabling civic engagement, in order to UN Millenium Development goals would not only facilitate as a platform to achieve other reach other development goals listed by the UN more efficiently. UN should put an emphasis on the use of these modern tools to help change worldwide. Reporting on Global Development. Hamelink (2011: 29) makes a very important observation by commenting that in most media, human rights is not recognized as a special field of reporting. By including media and communication technologies specifically in the UN development goals for the years beyond 2015, it is possible to enable and encourage new and more nuanced forms of reporting by enforcing media’s role as a global player for development. Economic Development. ICTs, innovation and technology can fight and overcome these contradictions by offering sustainable solutions to economic growth. That is one aspect to take into account when setting development goals. National governance and societal/cultural participation. Focus on these policies would be more directed towards Freedom of expression, not only in communications but also in political endeavours so as to create a safe climate of discussion. When a country’s policies permit disagreement with government/religion/ideologies/etc… the political life will probably enhance its outcomes and therefore develop further, enough to sustain any kind of media development that that particular place is able to afford. But no world-expanded legislation should be made, because of the too different starting points that every single nationality faces. A part of this is the idea that a sense of community can be enhanced through cultural expression for example in the form of entertainment. Cultural expression can strengthen the identity, values and cultural cohesion; to express one’s culture can be seen as ”equally important as being healthy” (Berner et al. 2013, 1-3). Transnational Governance. Media and Communication technologies will increase transnational governance capacity of nation states (including small and weak states); which could range from jointly combating crimes committed via the internet space (given that it is anticipated over the future), transforming the concept of accountability over citizens, business firms/organizations or states themselves. Widespread use of technologies will force effective and political action especially in least developed nations. Setting an equal communication and media agenda for all in the next fifteen years will also enhance uniform progress and reduce the time-barrier of social knowledge (for example, a LDC will not have to face political/social problems that developed nations did over the course of history; simply because the information/knowledge will be freely available due to global proliferation of technological commodities). Media theories can inform decision-making. Habermas’s publicity model in the blog post is, to me, quite fitting: people’s engagement is ultimately dependent of a functioning media, but the people engaging to discussion are more plural in the current global setting than in Habermas’s bourgeois public sphere. It should be considered if any representative group can articulate the needs of all the masses it should be representing. In advancing communication and related technology, the focus should be in advancing people’s ability to understand how the new resources of communication and information exchange can be used individually and locally in order to engage globally. They should also be aware of the ways that these resources are currently being used, and also by who. Media and communication experts and researchers should take stand. And we should do it more efficiently, because not only we ourselves are more and more concerned about our own communication and right to freely express ourselves, but also because journalists are more and more often forgotten in the aspect of communication and free speech: it seems that we are regarded as ‘tools’; the expectations loaded on journalists and other media experts are massive, but nevertheless it is often forgotten that there are actual people behind the act of communication, sharing information etc. Unfortunately, a journalist seems to be noticed only when he or she either makes a mistake or is harmed doing his or her work. Analyzing and benchmarking the process. The inclusion of Media and Communication technologies in the next set of set of goals but will also complement the process of review, analysis and reach of policies. Also, it could act as an accelerating factor to achieve the previous MDG goals set out in 2000. But: A word of caution. When formulating Sustainable Development Goals that include the media and communication technologies, we need to take into account that newly accepted norms could become already out of date. This process is much faster because of media convergence and again – because of convergence it also has a remarkable impact on economy. Economical impact and impact on economy should be really regulated and moderated considering not only the risk of monopolies, corruption etc., but also practical stuff like new working conditions for employees in media. Nevertheless, it is maybe a naive idea, but I still prefer starting from the bottom (meaning all of us individually), than from the top – meaning from the general norms and long-term plans, even though they are important as well. New communication technologies has the potential to create a global public sphere where free media can work and people can engage in discussion. However, the digital media-sphere is a highly contested sphere, where private, public and corporate interests compete. Recent examples show how media control, accessibility problems, digital divide, commercial interests etc. have taken a great role in digital sphere. This notion should be carefully considered when thinking about the objectives concerning the UN development goals for the years beyond 2015. The key to achieving any development goals for the UN is to set and achieve goals for media and communication, with media and communication technology in mind. Assuring freedom of the media and developing means of communication are key to societal development whether regarding health, education, equality, environment, governing or any other issues. The post-2015 development goals should include explicit references to media rights and communication, because new forms of media can have an important positive effect on sustainable development. To begin with, a free media is empirically shown to contribute to democracy, conflict resolution, poverty reduction and the fight against corruption (UNESCO 2014). According to UNESCO’s research, freedom of the press contributes to good governance, society safety, participatory citizenship and dialogue across peoples among other things. Development might be achieved without attention to communication technologies, but it will be more effective and long-lasting if these issues are specifically lifted on the agenda. We need to focus on and highlight the diverse character of communication rights and technology. With freedom of expression and the new ways of expressing oneself, also comes an array of responsibilities. Importance of critical approaches to how communication rights should be considered to touch all citizens since the different roles of producing, mediating and consuming have mixed in new media and on the Internet. Like it has been stated in earlier comments in this paper, communication rights do not consider only media professionals such as journalists but all people and organizations. Bailey. G.O., Cammaerts, B & Carpentier, N., (2008). Understanding Alternative Media. England: Open University Press. Berner, P. et al. 2013. Post-2015 MDGs: Freedom of Expression and the Media. Bonn: DW Akademie. Blankson, I. A. & Murphy, P. D. (2007) Negotiating Democracy: Media Transformations in Emerging Democracies. State University of New York Press. Curry Jansen, Sue (2011). Introduction: Media, Democracy, Human Rights, and Social Justice. From the book Jansen, Sue Curry & Pooley, Jefferson & Taub-Pervizpour Lora (2011) Media and Social Justice. Palgrave, New York. Glanwell, Jo (2012). Communication and Human Rights: Index on Censorship. In Vega Montiel, Aimée (ed.) Communication and human rights. International Association for Media and Communication Research 2012. Hamelink, C. 2011. Global justice and global media. In: Curry Jansen et al. eds. Media and Social Justice. New York: Palgrave Macmillan. ITU (2014) = Measuring the Information Society Report 2014. http://www.itu.int/en/ITU-D/Statistics/Documents/publications/mis2014/MIS2014_without_Annex_4.pdf (accessed March 18th, 2015). Lublinski, Jan, Deselaers, Peter & Berner, Petra (2013). Post-2015 MDGs: Freedom of Expression and the Media. DW Akademie discussion paper, 09/2013. Siles, I., & Boczkowski, P. J. (2014). Steps toward Cosmopolitanism in the Study of Media Technologies: Integrating Scholarship on Production, Consumption, Meteriality, and Content. In T. Gillespie, P.J., Boczkowski, y K.A. Foot (Eds. ), Media Technologies: Essays on Communication, Materiality and Society. Cambridge, Massachusetts: MIT Press. UN (2014). The road to dignity by 2030: ending poverty, transforming all lives and protecting the planet. Synthesis report of the Secretary-General on the post-2015 sustainable development agenda. Resolution A/69/700, adopted by the General Assembly on 4 December 2014. UNESCO 2014. Free, Independent and Pluralistic Media in the Post-2015 Development Agenda – A Discussion Brief. Published on March 15 2014. Winter, Jenifer Sunrise (2013). Is Internet Access a Human Right? Linking Information and Communication Technology Development with Global Human Rights Efforts. The Global Studies Journal.